Do you have those awkward windows that look great and let the light in, but are just impossible to reach, let alone clean, so they just go untouched? Well Hypacleen can make the ‘impossible’ ‘possible’…. Want to know how, check out the picture below taken while working at the Perth Mint. 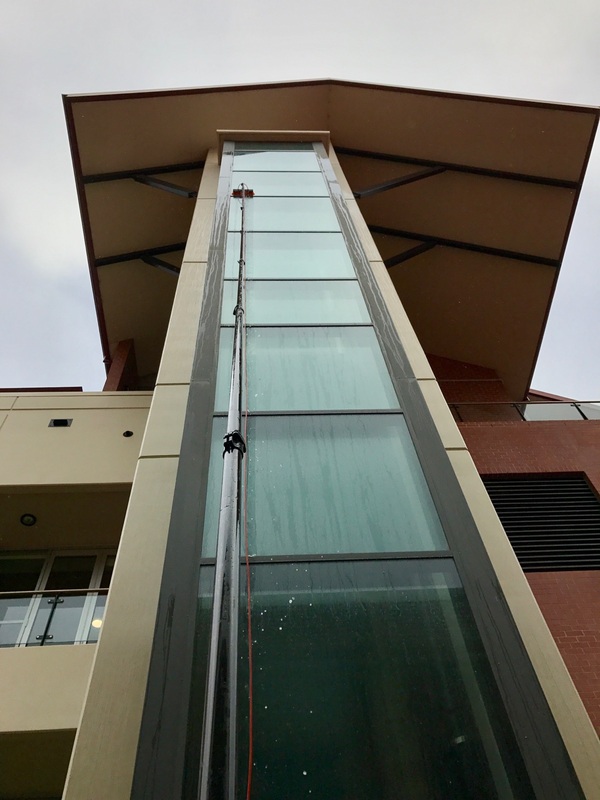 With our water-fed-pole system, we can reach those difficult windows from the ground, making your impossible to reach windows not only possible to clean, but safer than using any scaffolding, scissor lifts or abseiling contraptions. And because of the fact we can clean from the ground, our insurance is not as much as some, and the savings get passed on to you, the client. If your looking for commercial or residential window cleaning, look no further. We love to put our water fed window cleaning system (pictured above) to work. 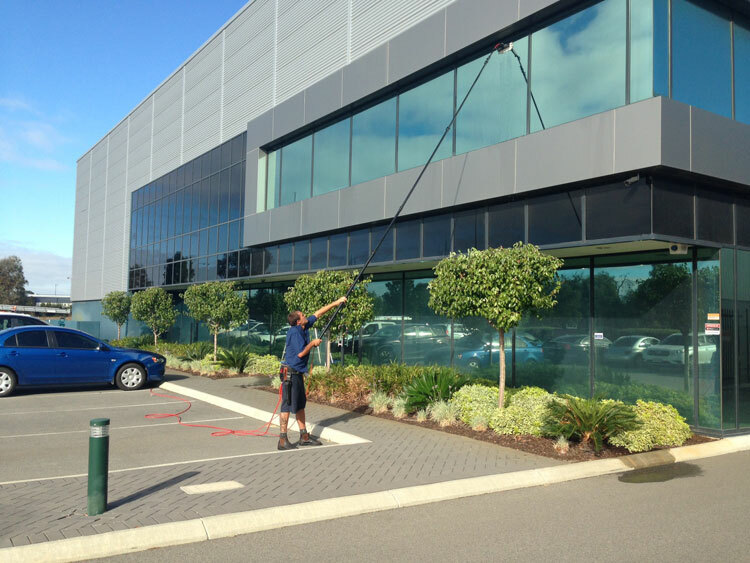 Multiple story window cleaning has never been simpler or more affordable! Call us today on 0403144387.